I can't believe this is the last day of June! My father-in-law always says that when the calendar reads July 4th, summer is basically over. That always made me laugh, but I know what he's saying. It goes by quickly after that. One of my son's birthdays is August 26th, and I always tell him that Christmas comes pretty much instantly following that day (or it seems like that to me!). Before I do that, look at this! Aren't they BEAUTIFUL???!!! I received these two necklaces last week. This was a quick pic after trying on the red one (Stella and Dot- Sardinia necklace). It's not the greatest photo, but isn't it lovely? I find myself standing and staring at it in my closet. I'm not sure what that says about me. My husband says that he is going to have to find a way to hang "all my new love for necklaces" in our closet. I like the denim shirt look with a pretty necklace, don't you? This is from Pinterest also - a denim shirt over lace. It might work with this dress. 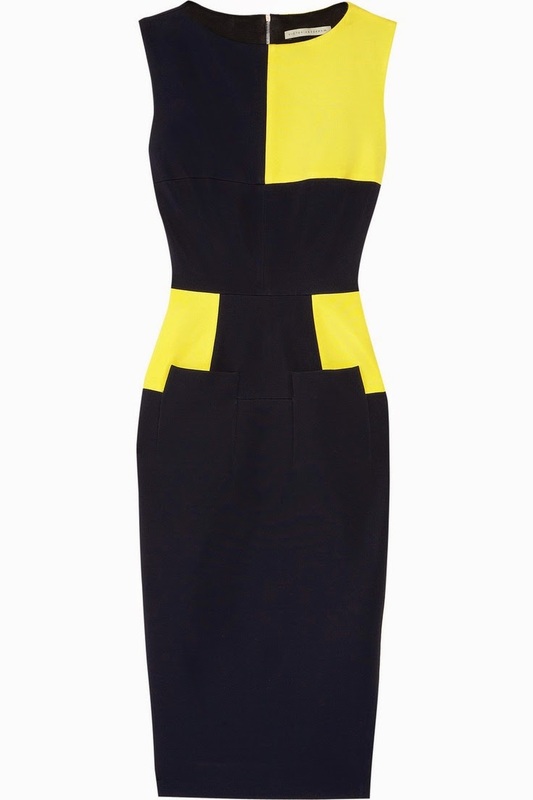 I love color block dresses...really, all dresses! This link up is always a lot of fun. I love seeing what other ladies put together. 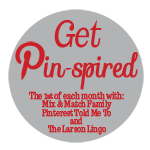 I read so many mom blogs and I am always floored at their cute style when they have little ones running around. I wish I had been more like that! I am truly inspired by their style and reading about their daily lives. I think all moms are just amazing at what they accomplish everyday for their families. I often think of that quote from Anne of Green Gables where it is said ,"Tomorrow is a new day with no mistakes in it." As a mother, those words have come to me often. If you feel you failed in some way with your children or family today, you can start fresh tomorrow. God's mercy and grace is new every morning. Have a wonderful week and enjoy the rest of your summer! I can totally see a denim shirt tied at the waist with the white dress. How cute!! I love the way statement necklaces look with chambray! Statement necklaces and chambray were made for each other! Really great pairings. I love how you tied it up too! I don't think you give yourself enough credit for your own personal style and cute outfits! You always look great. Love your version of the chambray shirt with the emerald jeans and great necklace! Both of your new Stella & Dot necklaces are great too! Thank you, Gina! What a sweet thing to say! Those necklaces are beautiful! Cute looks, girl!! Thank you, Jenna! I like them so much, too! Hi Dani! Thanks so much for stopping by:) I enjoyed reading your blog! Both of your new Stella & Dot necklaces are gorgeous! 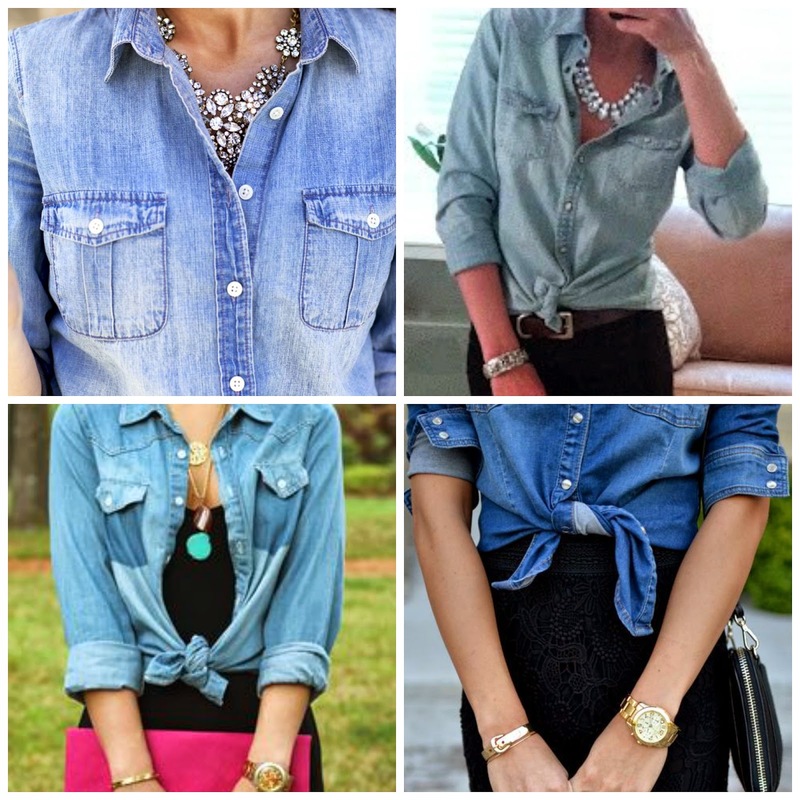 Love all of your outfit recreations, especially the chambray with the statement necklace! They are made to go together! Thank you, Jill! I only recently started wearing jewelry...it just wasn't on my radar before, I guess. I've really been enjoying them! Thanks so much for stopping by! I have that first S&D necklace and it is just fab! You will get so much use out of it! And I'm also a big fan of knotting the chambray! Definitely a perfect look with the statement necklace! Thanks for sharing with Manic Monday and hope to see you again this week! Do You Have White Jeans in Your Closet?